The National Symposium for Academic Palliative Care Education and Research has established next year’s theme, “Quality in Palliative Care: Fusing Education, Research, and Practice.” The conference will be held at the Hyatt Regency Mission Bay Spa and Marina in San Diego on October 11 and 12, 2018. 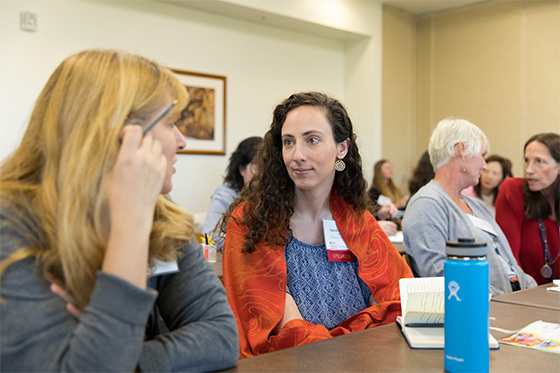 The CSU Institute for Palliative Care hosts the symposium each year to facilitate collaboration and advancement in palliative care education, research, and practice, with the goal of continually improving care for those with serious, chronic, or life-threatening illness. The National Symposium is a forum where the latest trends, developments, and best practices from palliative care leaders and academic scholars, educators, and practitioners from around the country are spotlighted. The Call for Abstract Submissions will be issued in January. Proposals for paper sessions, panel sessions, workshops, and posters sessions on the Symposium’s theme will be sought, to be shared during concurrent sessions and poster reception in the two-day event. Topics that encompass curriculum planning, learning application, outcome and/or process improvement, research, decreasing health disparities, or other perspectives on quality in palliative care are encouraged to be submitted. The symposium attracts college and university faculty, clinical practitioners, post-doctoral fellows and students, educators, and anyone engaged in designing and delivering curriculum, performing research, or providing instruction and oversight of professionals in training. By broadly addressing quality as the common thread among researchers, educators, and practitioners, the event aims to enhance collaboration among the many professionals who incorporate palliative care concepts into their work. The event is being planned by committee members including Cathy Berkman, Ph.D., Associate Professor and Director, Palliative Care Fellowship, Graduate School of Social Service, Fordham University, New York; Brian D. Carpenter, Ph.D., Professor of Psychological & Brain Sciences, Washington University, St. Louis; Alyssa Erickson, Ph.D., Assistant Professor, Department of Nursing, California State University, Monterey Bay, Reanne LeBlanc, Ph.D.(c), DNP, AGPCNP-BC, CHPN, Clinical Assistant Professor, College of Nursing, University of Massachusetts-Amherst; Diana M. Tisnado, MPA, PhD, Associate Professor, Department of Health Sciences, California State University, Fullerton, and is led by Adam Shapiro, Ph.D., Director, University Relations & Research for the CSU Institute for Palliative Care and Professor of Sociology, California State University, San Marcos. To stay informed on new Symposium information, be sure to join the interest list HERE.